Celebrate Valentine's early with your sweetie. Celebrate in Style! Discounts and Specials are based on availability. This is not a promise of availability and is on a first come basis. Please call our representatives to check availability. 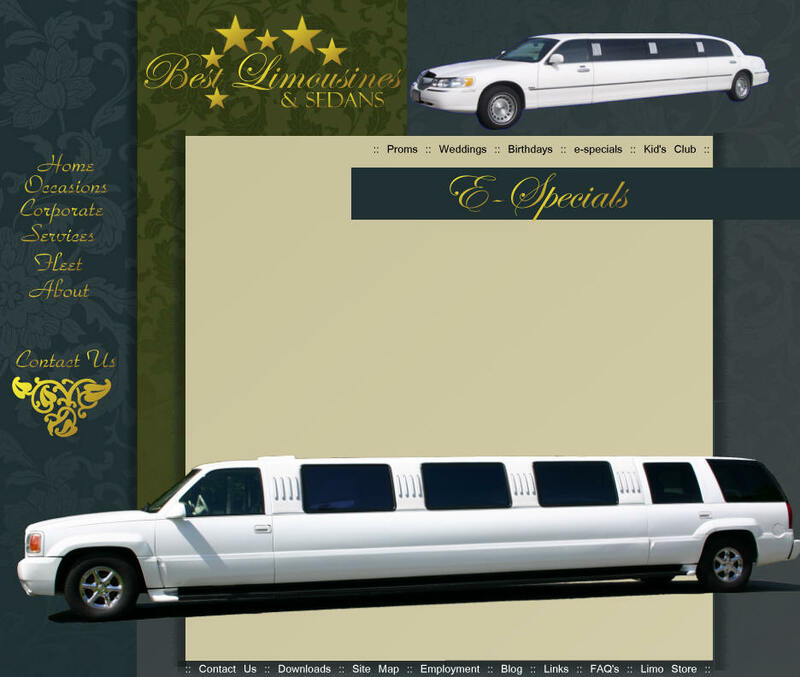 Best Limousines & Sedans E-Specials page features special promotions and discounts. Join our e-club for up to the minute information and be the first to know about our specials!